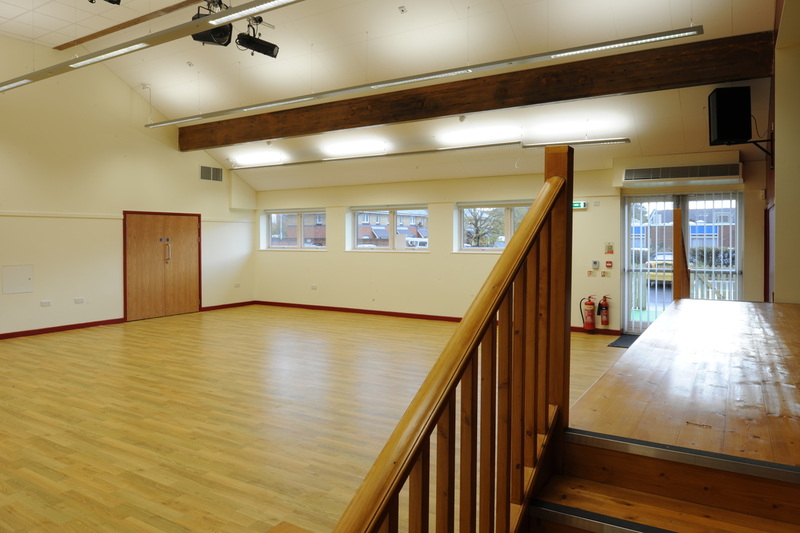 The main hall has a hard wood floor and underfloor heating, it will hold up to 120 people (100 seated). 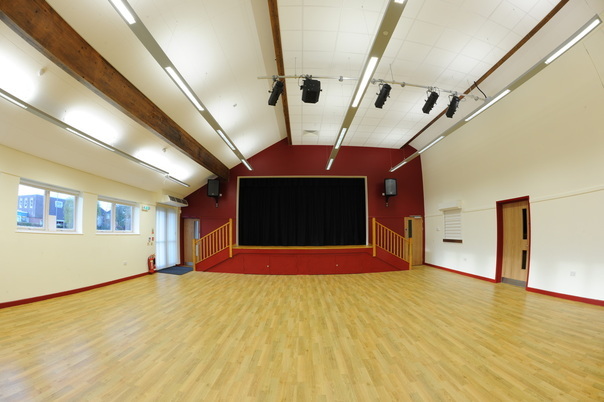 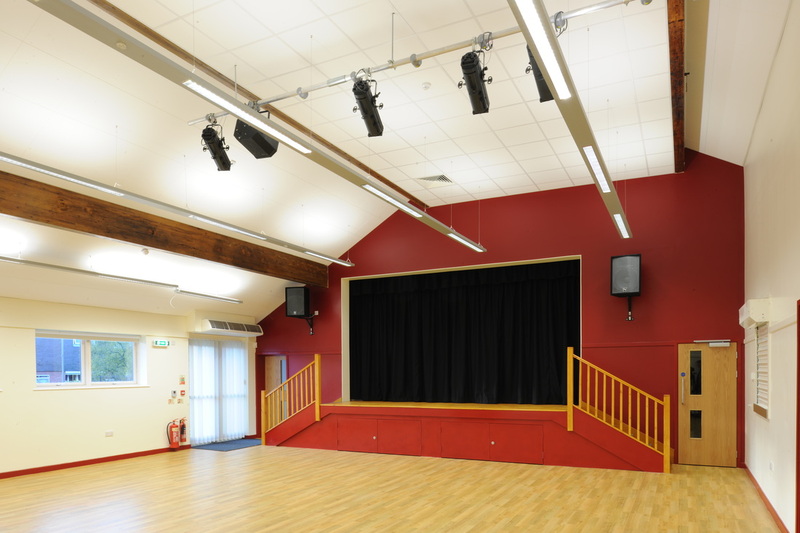 With easy access to both the car park and the kitchen, it is suitable for a wide variety of uses, parties, dance classes, wedding receptions etc. 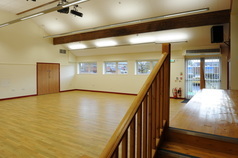 With a hard wood floor, the hall has a chair store with 10 tables and 100 seats as well as a stage. 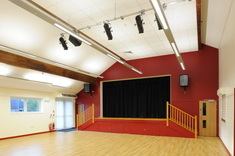 The stage itself is available for hire along with the hall should it be required. All temporary hirers are required to lodge a £100 (returnable) deposit to secure their booking.